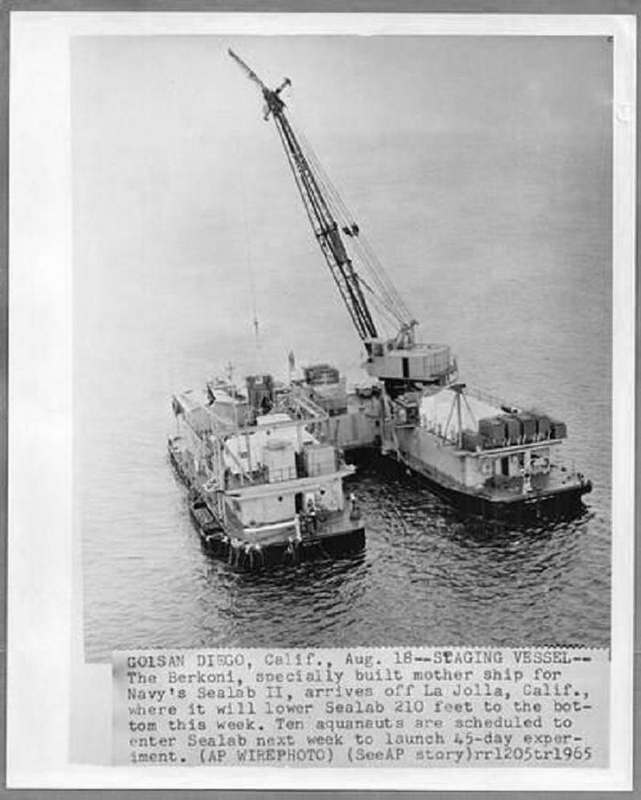 1.63k HOME FOR FOUR ON OCEAN FLOOR: An AP Wire photo & caption of SEALAB I on 4 May 1964. Photo courtesy of Vallejo Naval and Historical Museum via Darryl L. Baker. 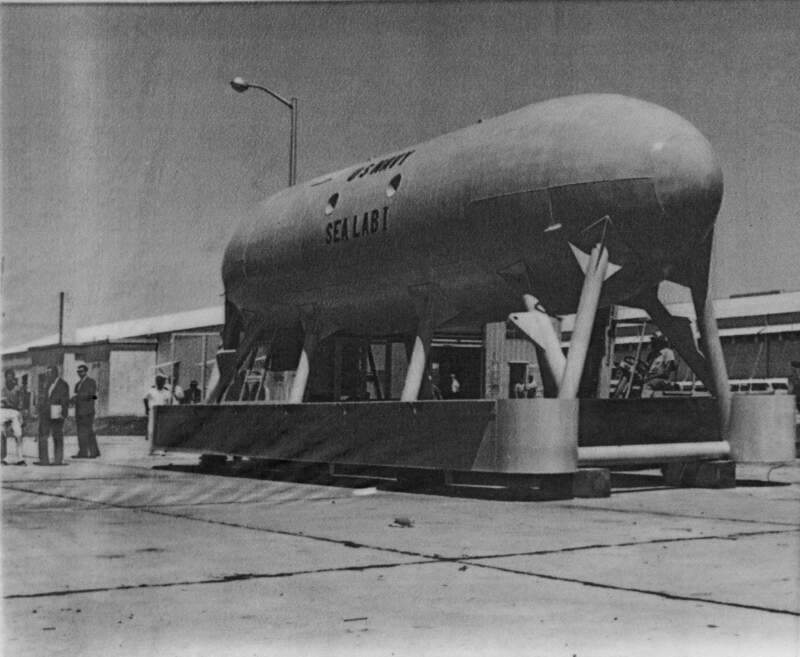 1.14k Sealab I, the U.S. Navy's underwater research laboratory, departs Panama City, Florida, Saturday morning 6 June 1964, en-route to the U.S. Naval Station, Bermuda. The lab will be aboard a research support vessel towed by Salinan (ATF-161). The trip will take about one week. Tests lasting three weeks are scheduled to being in 192 feet of water southwest of Bermuda, July 6. Five Navy Men, including Astronaut Scott Carpenter, will live and work in Sealab I during the tests. 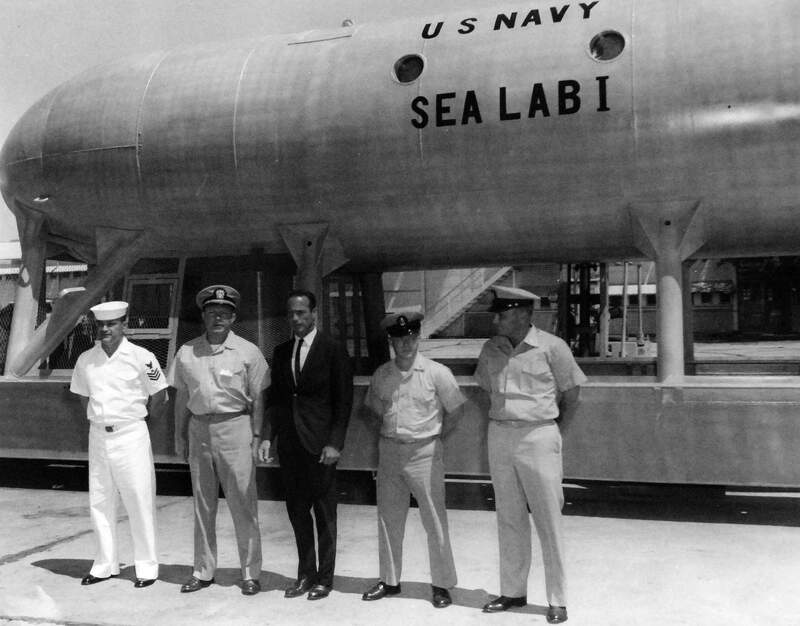 Shown: Sealab I, the Navy's 40-foot undersea laboratory & (left to right): Gunner's Mate First Class Lester E. Anderson, USN; Lieutenant Robert E. Thompson, MC, USN; Astronaut M. Scott Carpenter, Chief Hospital Corpsman Sanders W. Manning, USN; Chief Quartermaster Robert A. Barth, USN. Photograph released 14 May 1964. USN photos # USN 1096760 & 1096761 courtesy of the National Museum of the U.S. Navy, via flickr.com. 400k U.S. Naval Station, Bermuda, 12 July 1964. 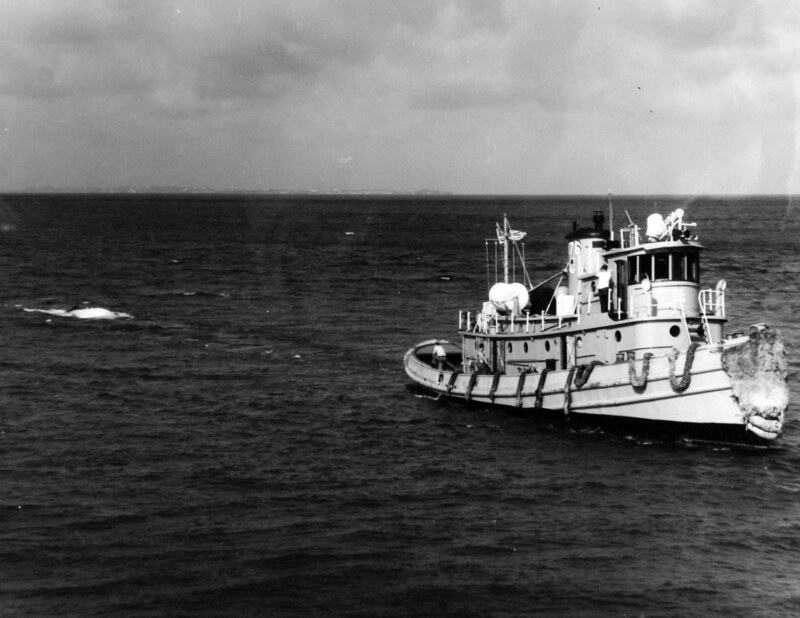 The U.S. Navy's Sealab I being towed to the operational site 30 miles southwest of Bermuda where the Sealab I will be lowered to 192 feet beneath the ocean surface where the Sealab I team of divers will live for 3 weeks. Towing the Sealab I is the tug YTM-176. USN photo # USN 330-PSA-168-64-1, by PHCS W. A. Jackman, USN, courtesy of the National Museum of the U.S. Navy, via flickr.com. 1.14k U.S. Naval Station, Bermuda, 23 July 1964. 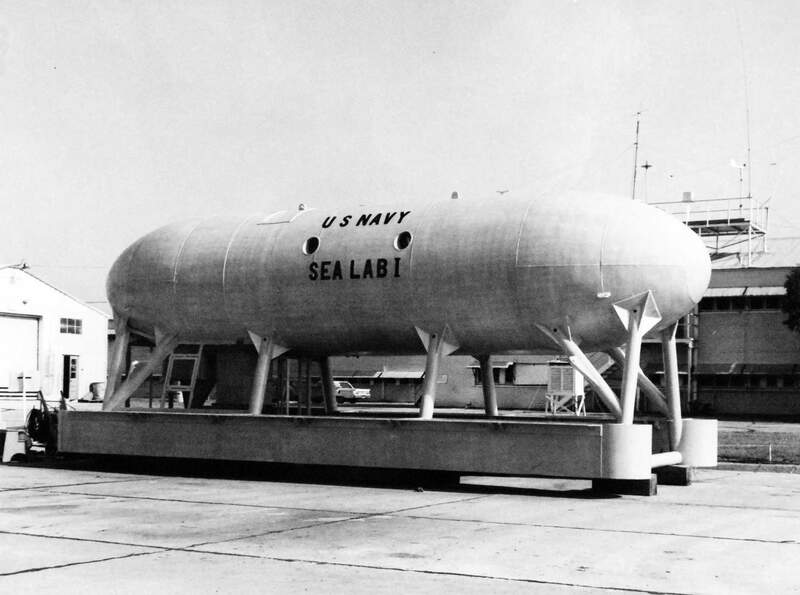 The U.S. Navy's underwater laboratory Sealab I at a depth of 192', 30 miles SW of Bermuda. 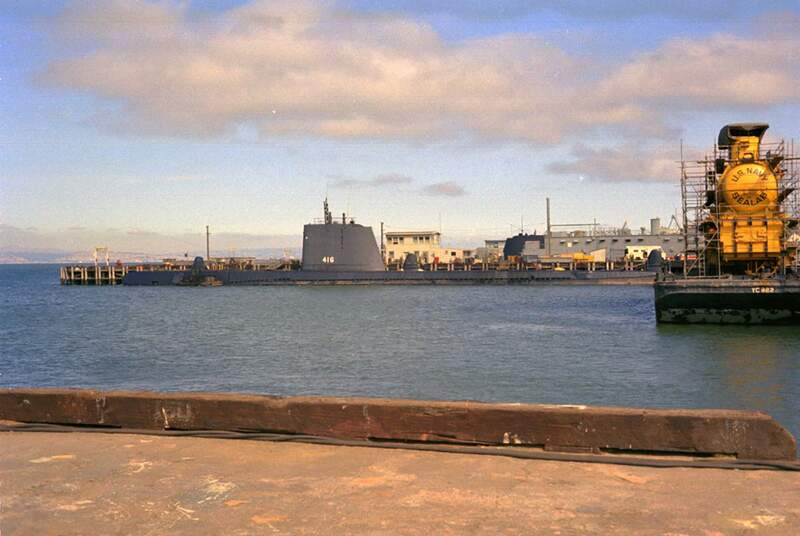 The submersible decompression chamber can be seen in the background to the left. USN photo # USN 1105343 courtesy of the National Museum of the U.S. Navy, via flickr.com. 575k U.S. Naval Station, Bermuda, 23 July 1964. 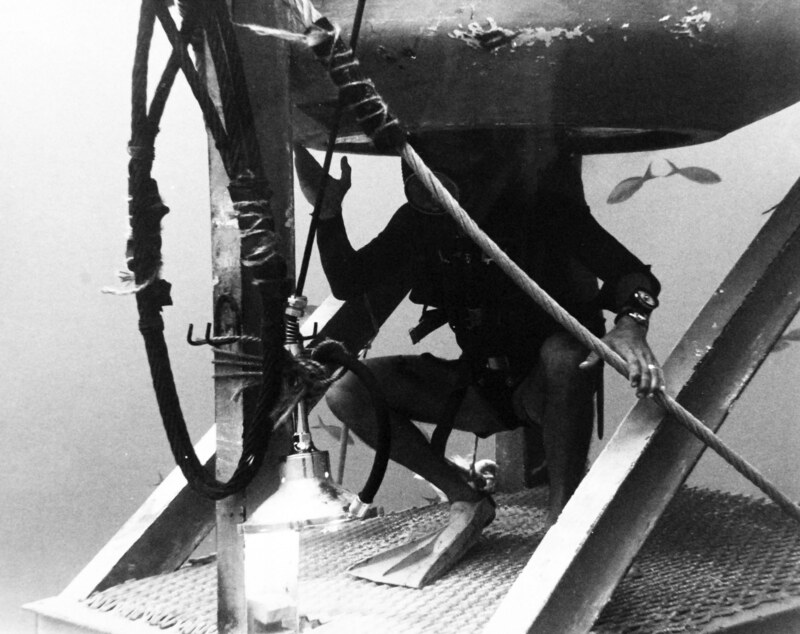 Sealab I diver leaving the submersible decompression chamber "elevator" prior to entering the U.S. Navy's Sealab I undersea laboratory. USN photo # USN 1105345 courtesy of the National Museum of the U.S. Navy, via flickr.com. 1.14k Project Sealab II is scheduled for late next summer when an underwater residence will be established 250 feet beneath the Pacific, one mile off La Jolla, California. Two ten-man diving teams will live in the undersea laboratory for periods of 15 to 30 days. 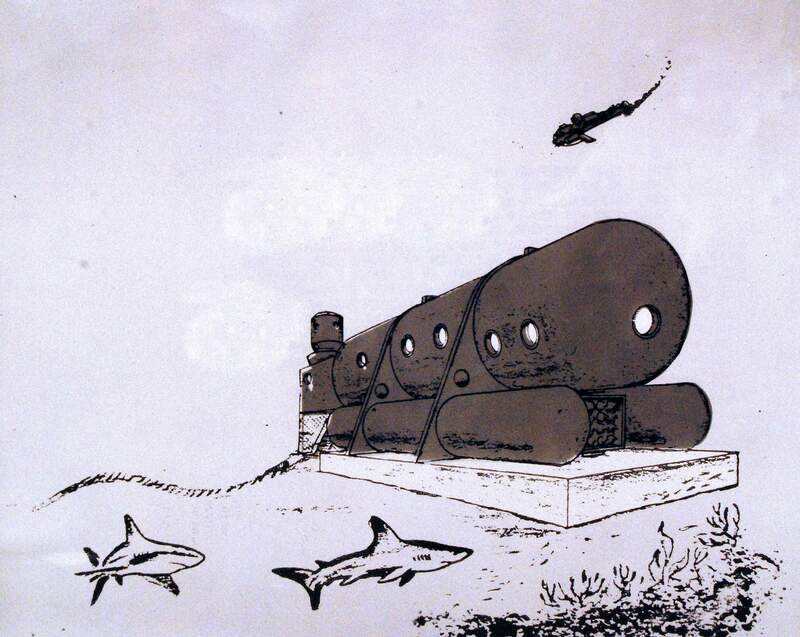 Sealab II, shown here in an artist's conception, will be a cylindrical structure 50 by 12 feet, designed to provide easy access to the sea. Atmospheric pressure within the lab will be 100 pounds per square inch, the same pressure as that of the sea at 250 feet. As in Sealab I, conducted 30 miles off Bermuda last July, the major objective of Sealab II will be to determine how much useful work can be accomplished by divers in an ocean environment at great depths. The divers will breathe a specially formulated gas mixture consisting of Helium, Oxygen and Nitrogen, with Helium the major component. Sealab II will be self-sufficient with respect to food, water, and breathing the gas mixture for at least six weeks. Photograph released 5 February 1965. USN photo # USN 1108798, courtesy of the National Museum of the U.S. Navy, via flickr.com. 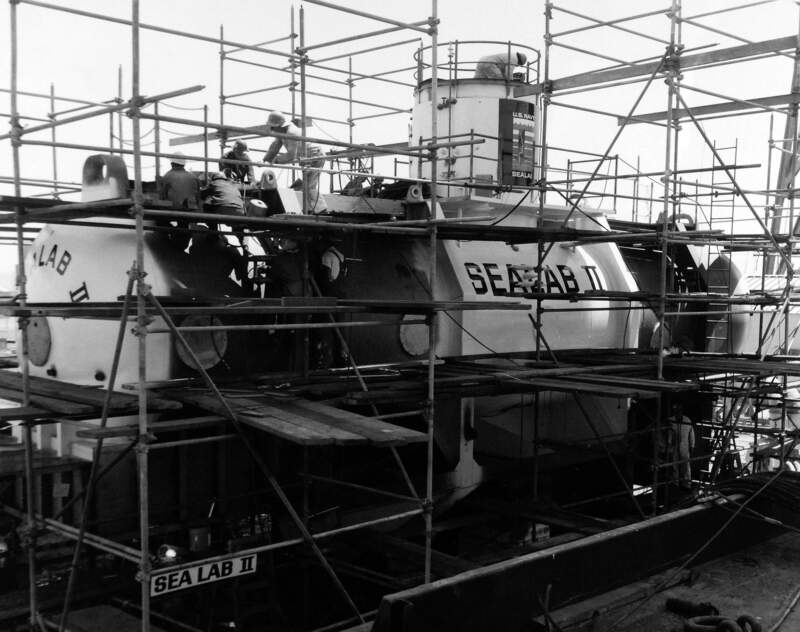 732k U.S. Navy's Underwater Laboratory Sealab II, nears completion at the San Francisco Naval Shipyard, San Francisco, California on 25 June 1965. Project Sealab II will test man's ability to perform useful work 230 feet beneath the ocean surface off the California coast near La Jolla. Two ten-man teams will alternatively live and work in and around the undersea labatory for a total for 30 days. The experiment in scheduled to be in mid-August. USN photo # USN: 1111721, by PHCS W. A. Jackman, USN, courtesy of the National Museum of the U.S. Navy, via flickr.com. 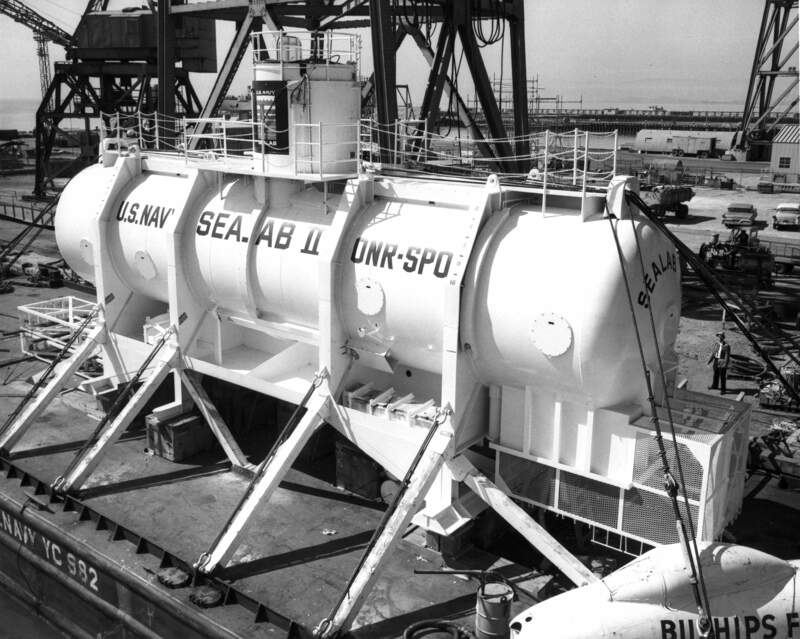 1.18k SEALAB II aboard YC 982 at Hunters Point Naval Shipyard in June 1965. Photo courtesy of Vallejo Naval and Historical Museum via Darryl L. Baker. The Berkoni, specially built mother ship for the Navy's SEALAB II, arrives off La Jolla, California where it will lower SEA-LAB 210 feet to the bottom this week. Ten aquanauts are scheduled to enter SEA-LAB next week to launch a 45 day experiment. AP Wire photo courtesy of Tommy Trammp. 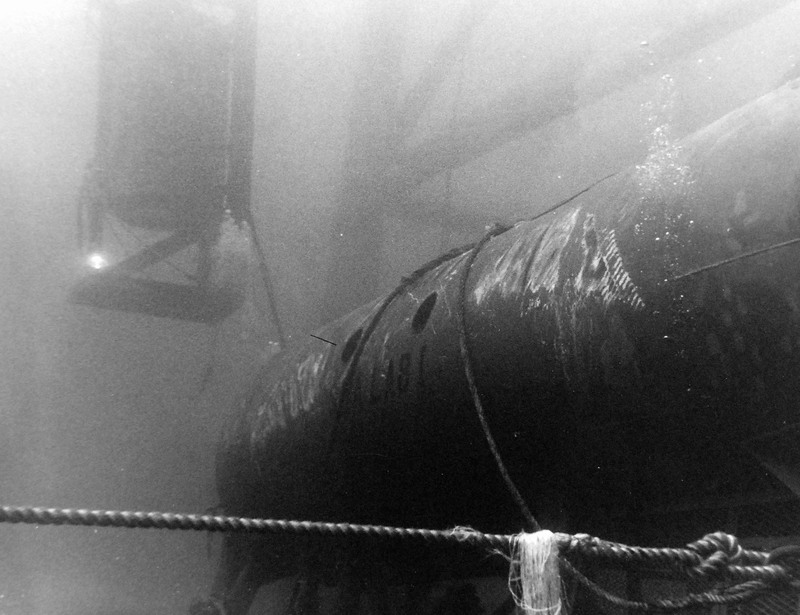 1.07k Sealab and Tiru (SS-416) at Ballast Pointe. USN photo courtesy of subasepearl.com. 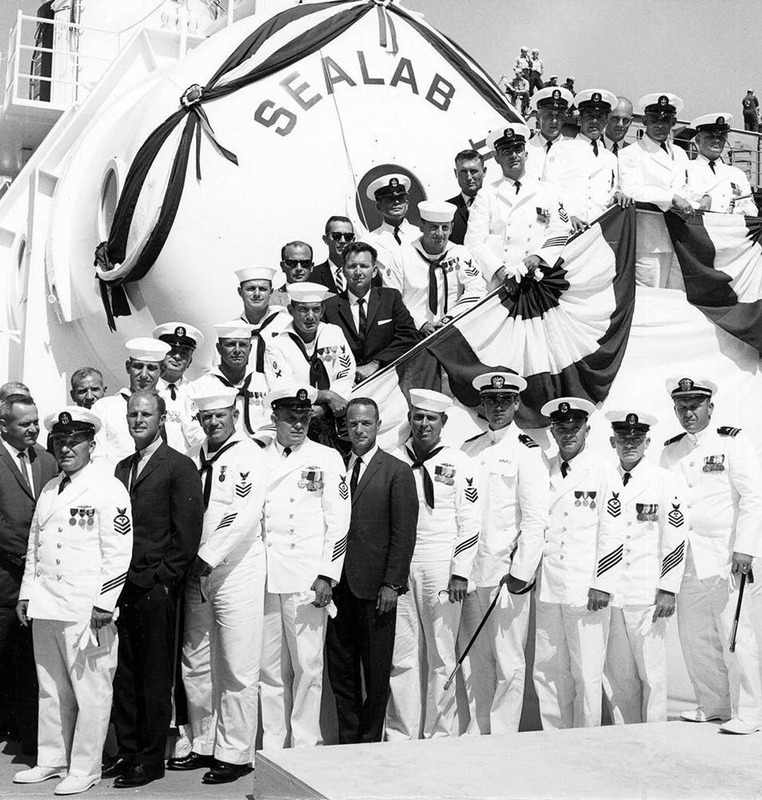 365k U.S. Navy SEALAB team pictured in front of SEALAB II celebrating her commission. The ranking officers go up the stairs to the right. That is an U.S. Navy Aircraft Carrier in the background. USN photo via Bill Gonyo. 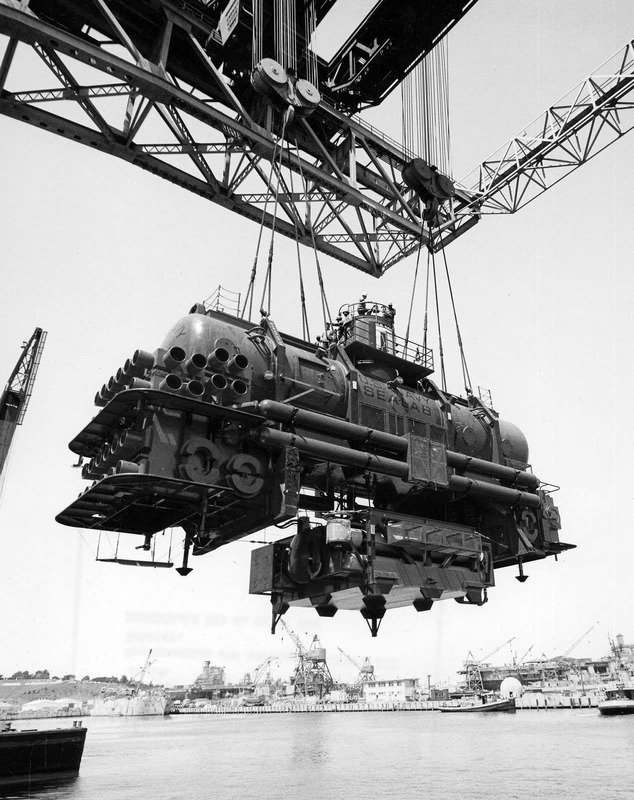 543k SEALAB III being hoisted in San Francisco. USN photo via Bill Gonyo. 193k CDR. Malcolm Scott Carpenter in SEALAB II was both an aquanaut and astronaut. USN photo via Bill Gonyo. 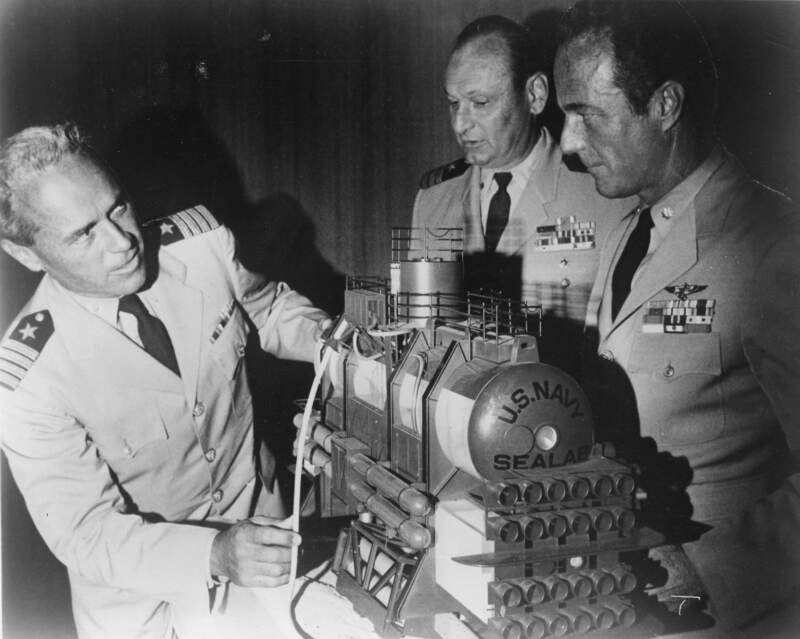 518k Scott Carpenter discusses the SEALAB II with Capt. 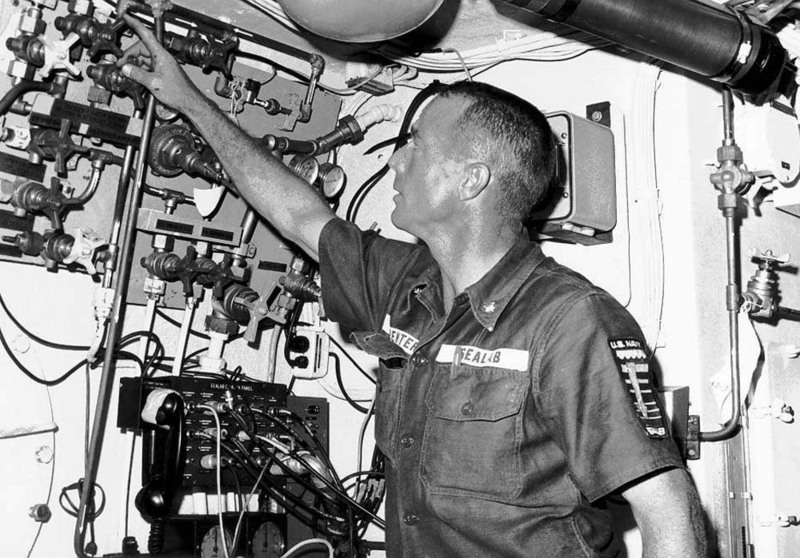 William Nicholson (left), director of the Navy's Deep Submergence System Projects and CDR J. M. Temsky, who was on-scene commander for the SEA-LAB exploration in April 1970. Photo courtesy of Vallejo Naval and Historical Museum via Darryl L. Baker. 1.09k View of Building Ways 1 & 2 at Mare Island in October 1970 with YD-216 in front of Ways 2, SEALAB III aboard YC-962 and YOGN 124 (still with its US Army hull number of BG-6383). 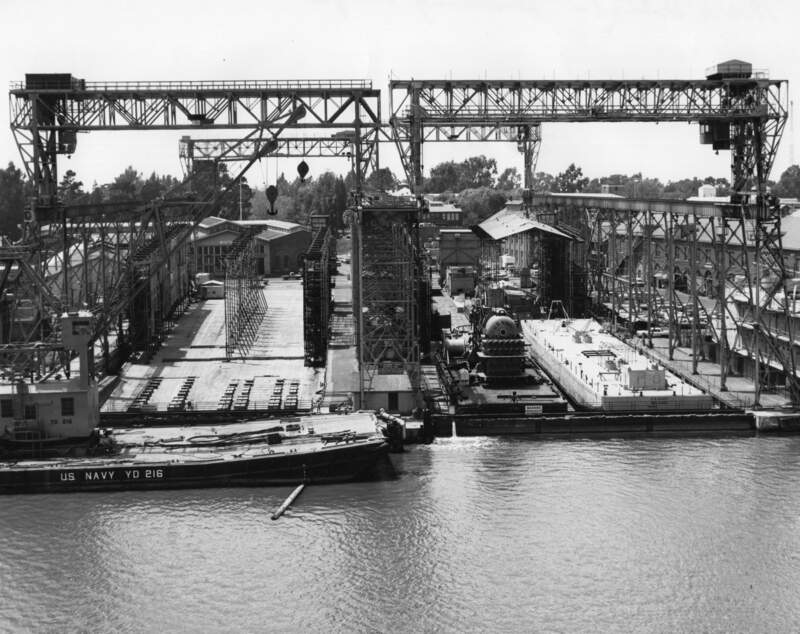 These ways would never be used again to build ships. Photo # MINSY_100919-10-70_TH_400 courtesy of Vallejo Naval and Historical Museum via Darryl L. Baker.